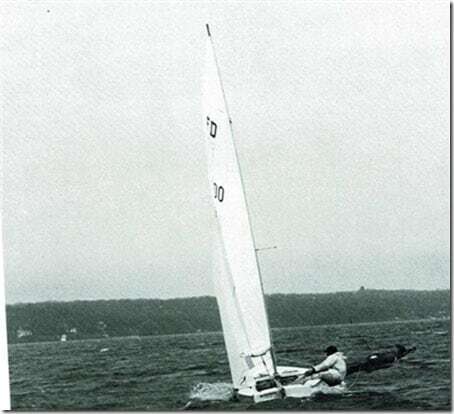 UPDATE 7-3-2017: Read about Bill on the National Sailing Hall of Fame’s inductee webpage here. 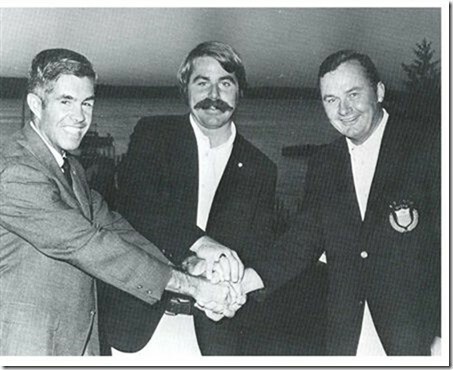 I learned this morning (June 19) that in September Bill Bentsen will be inducted into the National Sailing Hall of Fame. 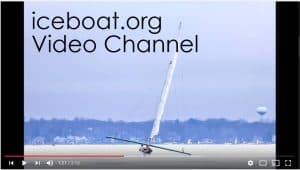 Bill is a member of the Skeeter Ice Boat Club and the Lake Geneva Yacht Club. Bill is a former Northwest champion in the DN class. Bill served as DN class secretary in the 1960’s. Bill owned and sailed the class A stern steerer, TAKU and subsequently transferred ownership to Erich Schloemer. He won an Olympic gold medal in the Soling class and a bronze medal in the Flying Dutchman class. 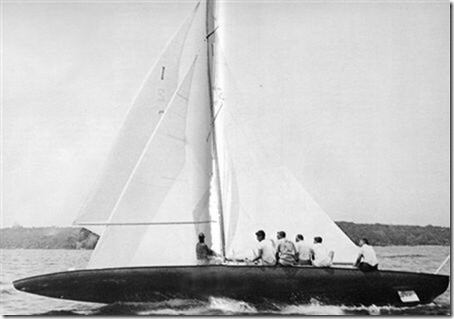 Bill successfully raced C, E, and A class scows at the Lake Geneva Yacht Club. 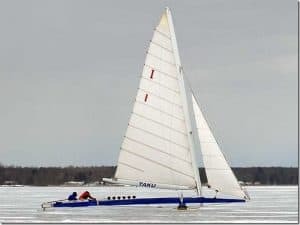 Bill Bentsen on trapeze, Buddy at helm, training on Geneva Lake in the Flying Dutchman class boat. They won a bronze medal in Japan. 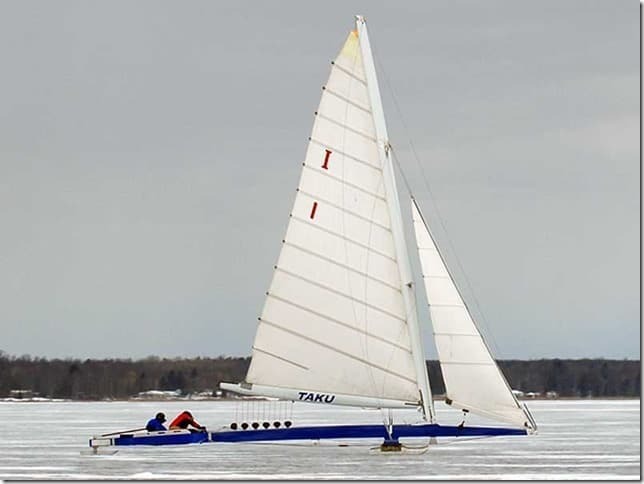 TAKU at 2007 Northwest with Erich Schloemer at the helm. Bill Bentsen steering the A scow.